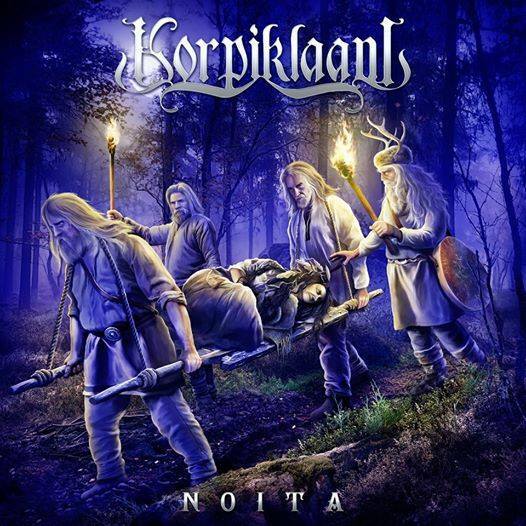 This is a dobule review for Korpiklaani’s new album Noita. One reviewer loves the album while the other…not so much. So read and see two contrasting opinions and hopefully you will be better informed! Due to a “variety of personal issues and matters with one of the members,” San Francisco Bay Area thrash metal veterans EXODUS will not perform at Maryland Deathfest XI, set to take place May 23-26 in Baltimore. Replacing them on the bill are Arizona thrashers SACRED REICH. EXODUS guitarist Gary Holt has spent the last two years filling in for SLAYER founding axeman Jeff Hanneman who in January 2011 contracted necrotizing fasciitis, likely caused by a spider bite, and has been undergoing surgeries, skin grafts and intense rehab since. EXODUS‘ latest album, “Exhibit B: The Human Condition”, was released in North America on May 18, 2010 via Nuclear Blast Records. EXODUS‘ previous album, “The Atrocity Exhibition: Exhibit A”, opened with 3,600 units back in October 2007.